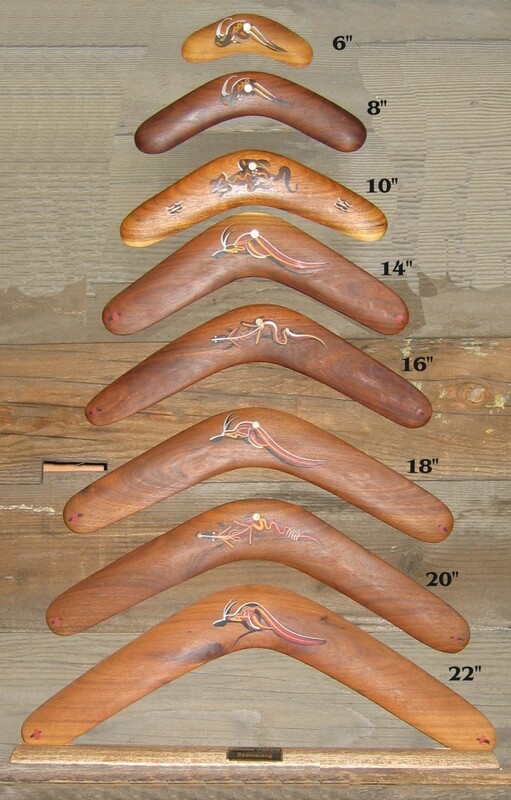 These Brigalow hardwood Traditional boomerangs are hand painted by Aboriginal Artists. 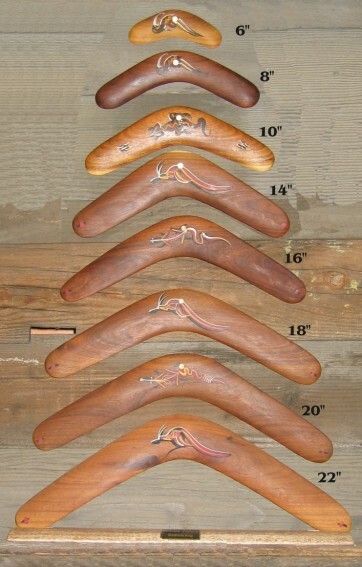 The boomerangs are properly shaped and starting from size 16" could be used for throwing, however with solid wood boomerangs you have to be an experienced thrower to make it return and to avoid damages around you. It's a hardwood, so it hits really hard.